We are pretty sure that your current newsfeed especially those residing in Malaysia will be full with Wiko Mobile Malaysia’s entry to the country. 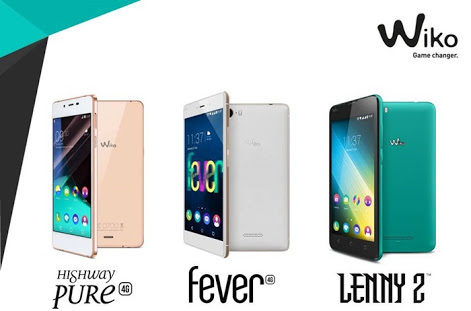 Well, as we mentioned before on our previous article, three of their top phones have been officially unveiled and that will be Wiko Fever, Wiko Highway Pure and Wiko Lenny2. With all the information regarding Wiko Fever have been already highlighted in our previous article and just in case if you’ve missed it, please click on Wiko Fever to have a quick idea about it. Wiko Mobile Malaysia have mentioned during the press launch event that the main reason that they came into Malaysia is because of the fast-growing smartphone market and the requirement of features and design on a smartphone suits Malaysia’s demographic. Anyway, we would like to take this opportunity and talk about Wiko Highway Pure and Lenny 2. Let’s start with the Highway Pure. This smartphone is the highest rated smartphone compared to the rest. Want to know why? Keep on reading. The Highway Pure comes with a 4.8-inch AMOLED display with a resolution of 720 x 1280. The screen is laminated and protected with Corning Gorilla Glass 3. Under the hood, Wiko Highway Pure is powered by the mighty Qualcomm’s Snapdragon 410 Quad core processor clocked at 1.2GHz and the graphics are powered by Adreno 306 which is proven for quite sometime for its reliability during heavy gaming. In addition to performance, Highway Pure is packed with 2GB of RAM together with 32GB of internal storage. There’s no micro SD card expansion slot on this smartphone, however the profile of this smartphone being a very “compact” smartphone will be explained while you keep on reading. Heading to the camera department. In terms of imaging, Wiko Highway Pure has 8 Megapixel main camera paired with a LED flash. In terms of front shooter, the sensor is set at 5 Megapixel. All the common features such as HDR, beautification are present within Highway Pure and you can definitely take great shots on the rear while great selfies on the front. The main selling point of the Highway Pure will be its slimness and weight. This smartphone’s thickness is only 5.1mm while its total weight is set at an incredibly lightweight of only 98g! In terms of data connectivity, there’s no lack as it is enabled with 4G LTE. Highway Pure comes with only single SIM model and the SIM type will be Nano SIM. For the battery capacity, there’s a non-removable 2000 mAh battery packed inside. An average battery life can be obtained with average usage as the power consumption of the AMOLED display and the processor is generally lower. Not to forget, this phone comes with Android 5.1 Lollipop OS out of the box to ensure one of the latest yet reliable version of Android. Last but not least, the Wiko Highway Pure comes embedded with 16 Swarovski Zirconia to boost the outlook and premiumness of this smartphone. All this goodies will total up to a price tag of RM999 inclusive of GST. If you’re the type of user who prefers a classy looking smartphone with affordable pricing, this is the one for you. Next, the Wiko Lenny2. This particular smartphone is aimed to target the lower budget consumers. A quick recap on the specifications for this model. The Lenny2 has a 5.0-inch IPS display with 480 x 854 of resolution resulting in a pixel density of 196 ppi. In terms of processor, the Lenny2 is powered by MediaTek’s MT6580M Quad core processor with a clock speed of 1.3GHz while the graphics are pumped by Mali 400 GPU. 1GB of RAM and 8GB of internal storage comes along the Lenny2 to enhance the performance. Being a lower budget smartphone, 1GB of RAM is expected and in terms of internal storage, you can still expand it via micro SD card up to 64GB. The camera sensor on the back and front are 5 Megapixel and 2 Megapixel respectively. You can take decent looking photos with that but don’t expect it to be as good as a 8 Megapixel shooter. Not to forget, the back camera does come with a LED flash. The Wiko Lenny2 supports HSDPA+ and comes with Dual SIM. One slot supports Mini SIM while another supports Micro SIM. Of course, being the current cheapest Wiko’s smartphone doesn’t mean you get lack of software updates as the Lenny2 comes out of the box with Android 5.1 Lollipop. Finally, the battery capacity of this smartphone is 1800mAh. We feel that this smartphone will be an ideal choice as a second smartphone. Let’s say you decided to get the Highway Pure and you have two SIMs to occupy. However, with the Highway Pure being a single SIM device, you can consider getting the Lenny2 to slot in another SIM card and use it for calls, SMS, WhatsApp and other social messaging applications. The Wiko Lenny2 is priced at only RM299 inclusive of GST. Both smartphones can be obtained at any authorised dealers near you. So, on which phone is your money on? The gorgeous looking Highway Pure, the flagship leader Fever or the useful and cost efficient Lenny2? How to choose a perfect smartphone within RM350?